A lovely place to call home with an open floor plan and vaulted ceilings throughout. Enjoy the many rose bushes, as well as the lemon and apricot trees. 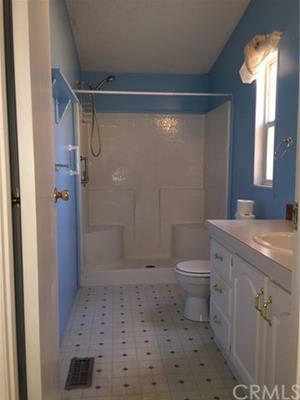 This 2 bedroom, 2 bath home has brand new carpet with upgraded and waterproof padding. The 2-car garage/shop (approx. 15'x20') is ideal for the hobby maker. Covered back porch also has ramp access to the backyard. RV parking!